Before the Jewish High Holidays of 5776 (fall 2015) Beacon Hebrew Alliance contacted the Center for Supportive Bureaucracy to conduct an event together* and issue BHA members official documents for the new year. The Jewish new year and Yom Kippur themes are about forgiveness, apologizing and "coming clean" with family, friends, self and God. 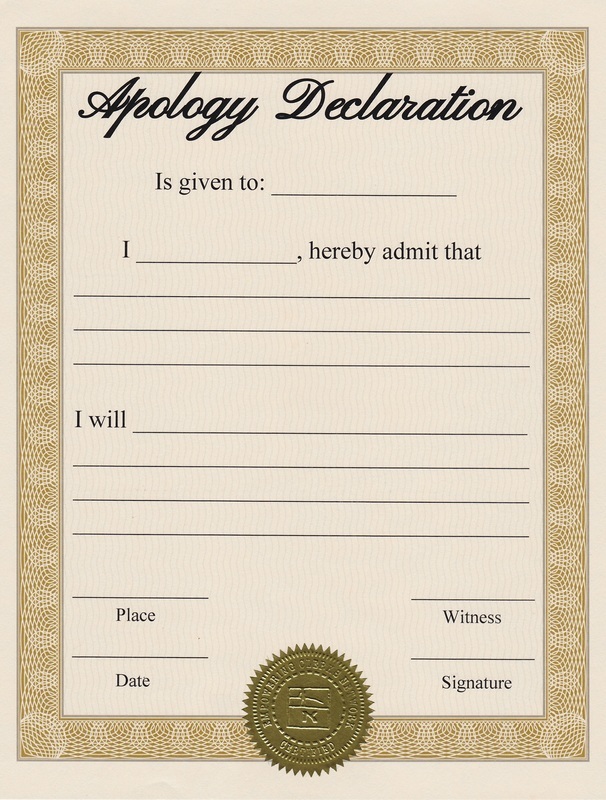 Besides issuing Apology Declarations, Adults Special Achievement stickers and Certificates of Recognition, the ECN (with the assistance of Mr. Teafly) designed the Relationship Order Form, an official carbon-less order form document that allows you to phrase your desired outcome of a specific relationship for the coming year and hand it to the person you are in relationship with. 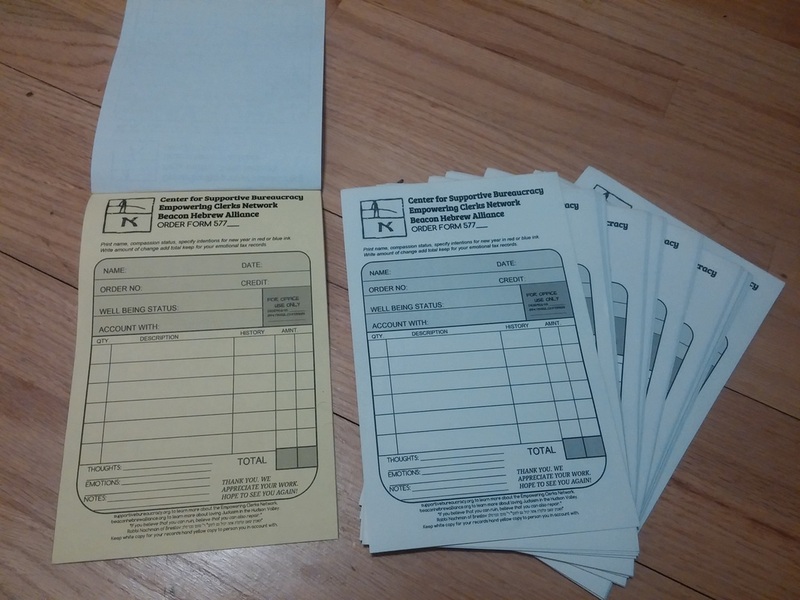 Once issued, you may keep the yellow copy for your Emotional Tax records. ​You too can invite the ECN to answer your paperwork needs, see form below! * The project was documented at the Times of Israel article. Learn more about inviting the ECN to conduct a workshop/event/performance in your community here. NEW!! 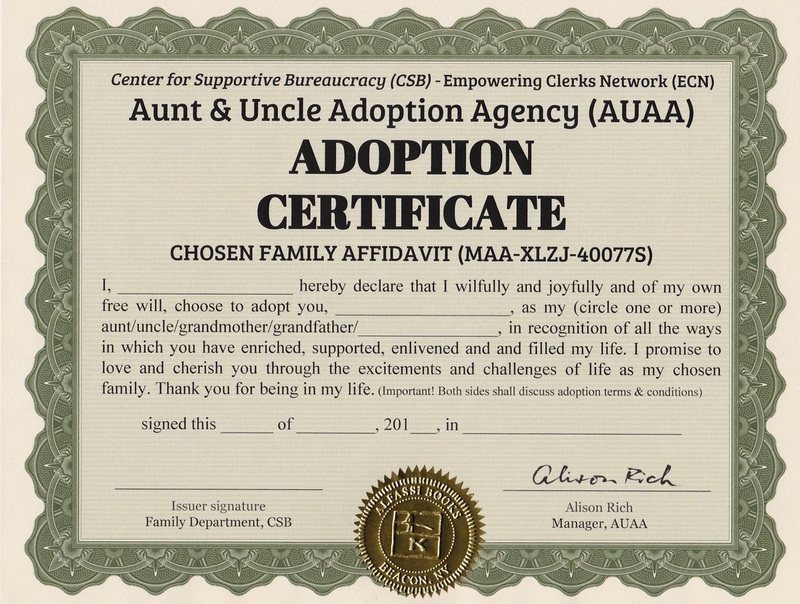 PRINT YOUR OWN OFFICIAL DOCUMENTS!! The ECN is an open source project. We believe that everyone has the right to issue a Joy Permit, use a Forgiver's License, get a Refurbished Report Card and if qualified, to open carry musical instruments in public places. Therefore we allow free access to anyone who is interested in becoming an Empowerment Processing Facility (EPF) to download, print, issue and distribute various official documents according to the HPD-X78. If you'd like to get an e-packet with full instructions on how to print ECN documents please sign up here. Then you'd be able to spread the joy of paperwork with your friends and community. We're constantly adding new services and improving existing ones, by registering your local ECN branch you'll get all necessary updates to ensure the highest levels of service to your community. If you like the ECN, please consider supporting us, or use these tools to raise compassion stats, funds for charity or other causes you believe in. Please note that distributing Playful Paperwork documentation may increase your happiness rates by 17.5%.